Coach Gregory Scott provides Better Health & Aging guidance, support and solutions through food, fitness and nutrition to lead a healthy, active and happy lifestyle. Is your health and fitness where you want it to be? When was the last time you talked with someone about your health and received the personal attention you deserve? As a Health and Wellness Coach, I create a supportive environment that will enable you to achieve all of your health goals. I’ve studied all the major dietary theories and use practical lifestyle coaching methods to guide you in discovering which approach works best for you. Most approaches to nutrition dwell on calories, carbs, fats, proteins. Instead of creating lists of restrictions and good and bad foods, I coach my clients to create a happy, healthy life in a way that is flexible, fun and free of denial and discipline. The same goes for a fitness plan. No one diet plan or fitness routine works for everyone. I will guide you to find the food, fitness and lifestyle choices that best support you. I will also help you to make gradual, lifelong changes that enable you to reach your current and future health goals. I received my formal training at the Institute for Integrative Nutrition in New York City. I not only learned to improve my life, I received very detailed and careful instruction on how to coach others around food and lifestyle choices. It’s an exciting time! Drawing on their teachings and my personal experiences, I help create a completely personalized “roadmap to health” that suits my clients’ unique body, lifestyle, preferences, and goals. In becoming a health and fitness coach, I’m able to combine my interest in food and nutrition…with my passion for running and triathlons. 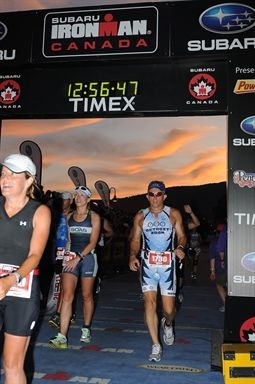 The passion for Coach Gregory Scott has now shifted to triathlons, including the Ironman distance at Lake Placid, NY and British Columbia, Canada.